"We employed Daniel and his team to do some internal and external painting on our residence. 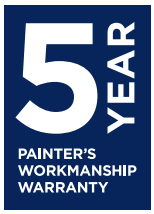 We were very pleased with the results.The painters were very skilled and took care to do the preparation work of plaster repairs and sanding. It looks great. They used quality paint, arrived on time and were polite and cooperative. They cleaned up after themselves each day and left the place neat.Highly recommended."